You deserve it!! We all do – mom’s especially, work long hours at work then work again when at home! So a day at the spa is just what you need to help those days seem worth it! Z-Spa is the new, luxurious medical spa in the heart of West Fort Worth, TX and is located in the Texas Medical Institute building on Camp Bowie Blvd. Z-Spa developed a variety of different treatment options to assist you in becoming a better you, including Zerona®, the first non-invasive body contouring procedure. The expert staff at Z-Spa are committed to providing each patient-client with the best experience available while reaching the goals set by the individual and staff members at the initial consultation. Dr. Gardner and his friendly, well-trained staff focus on patient-client satisfaction while adhering to the highest standards of professionalism and safety. All initial consultations are free of charge to ensure that Z-Spa provides the best treatment program to fit each unique, individual need. 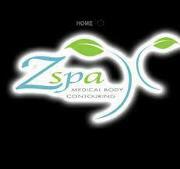 The staff at Z-spa is very welcoming and friendly. Stop by today and see what specials they have!